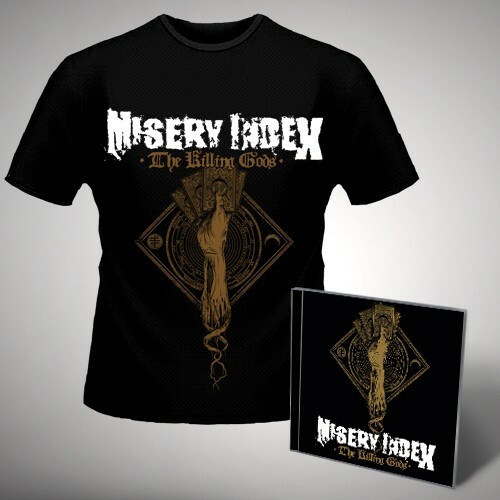 MISERY INDEX's new album 'The Killing Gods' distills almost fifteen years of relentless touring, recording, and writing into one of 2014's best extreme metal albums. 'The Killing Gods' twelve tracks (including the 5 part, fifteen-minute, album opener "Faust"), are a crucial exercise in veracity; eschewing superfluous parts or studio trickery for brutal economy and effect. 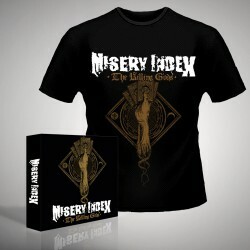 Riff after riff drips with malevolence, while the band's dual vocal assault transmits the chaos of a dystopian society gone mad. 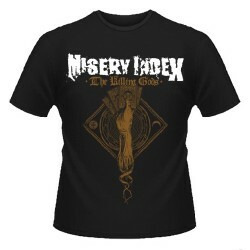 As 'The Killing Gods' proves from start to finish, MISERY INDEX have crossed the threshold into death metal greatness.